McDonalds has amazing french fries and people just seem to love them. I do too. The problem here is among all other food items, people choose fries just like that. As an add on to the original menu that they choose. Have you ever seen this? All your choices are almost identical to what you had last week and almost for a long period of time. You keep on ordering cheese burgers till you finally want to try something else and move on to another delicacy. I have seen people ask about a hundred other things while the nice lady at the counter keeps punching orders on the billing machine and then say, "Forget it, give me this". You either stick to the new one for a while or roll back to the original choice like a snap. Amazing how psyches can be! Nothing special about McDonalds, you might say. But trust me. If you keep walking back to their store ordering french fries, MCD knows how to make you fall in love. Marketing brains that know how to make simple people like you and me keep munching on those fries, burgers, softies and what not while you keep blaming an occasional meal at their restaurant when someone points about the added luxury at your weight! Can't resist you? 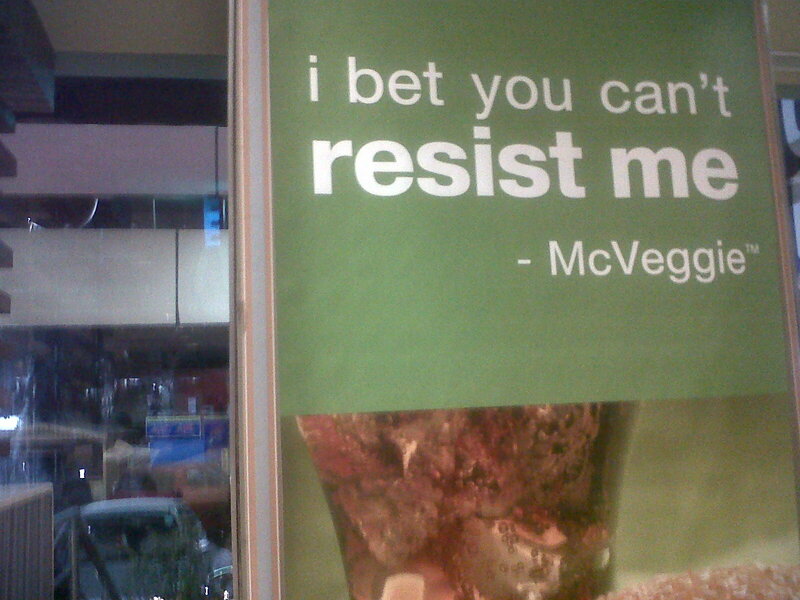 I bet I can. 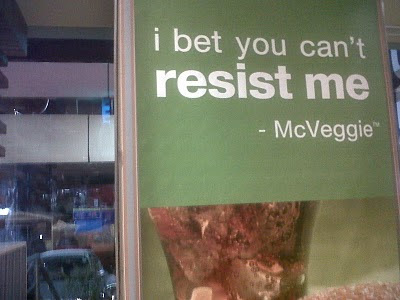 After all you are a veggie!